An Eagle in the Snow is an extraordinary story, based on true events, about one moment that could have saved the world from the Second World War. Michael had me captivated from start to finish. You can read my review here on the blog. 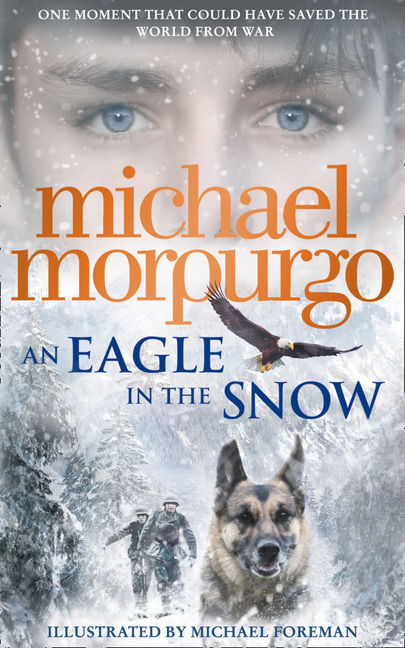 Thanks to HarperCollins NZ I have 2 copies of An Eagle in the Snow to give away. All you have to do to get in the draw is email bestfriendsrbooks@gmail.com with the subject line ‘An Eagle in the Snow’ along with your name and address. Competition closes Monday 26 October (NZ only). I finished reading this last night – one of Michael Morpurgo’s best!!!!! The highs and the lows and the twist at the end – a must read.